It is really shocking to me how many hit and runs there are noways. How can anyone be so cruel and inhuman? 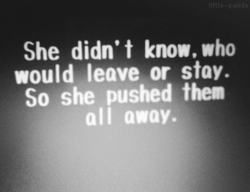 How can they hurt a person and just keep going like nothing happened. It scares me that this is now happening more often, lives are destroyed daily because of a careless and reckless person. I don't know how these people were raised but I have seen animals that have more compassion towards each other. I just pray everyday that God watches over everyone and keeps them safe. I want to do so many things with my life. I hate feeling like I'm just standing still, in one place just wasting my life away. You only live once, famous words. I don't want to look at my life and see that I wasted it and accomplished nothing. I wanna travel the world, I guess everyone does at some point in their life right? I'm scared I'm going to regret this life. I want to feel alive.